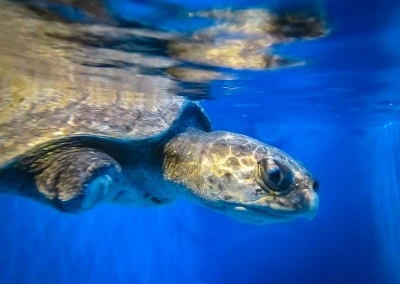 We currently have one Olive Ridley turtle and five Green sea turtles (Chelonia mydas) in rehabilitation at Kuda Huraa. 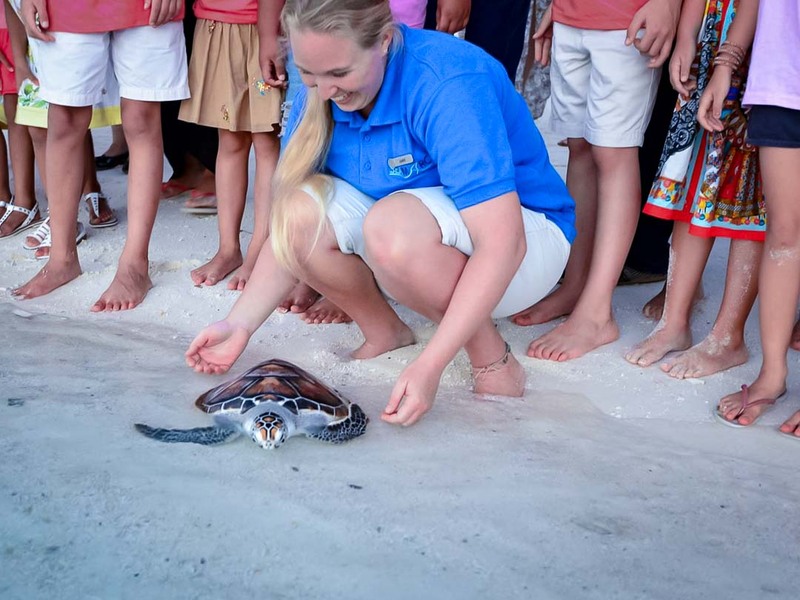 The Green turtles will remain in the facility until they reach the straight carapace length (SCL) of 30cm, following the same protocols as with the Head Start Programme to increase their chances of survival after release. This month we admitted two green sea turtle hatchlings (Dot and Dash) that we estimated to be just 1-2 days old at the time of arrival, due to the presence of a small remaining yolk sac. 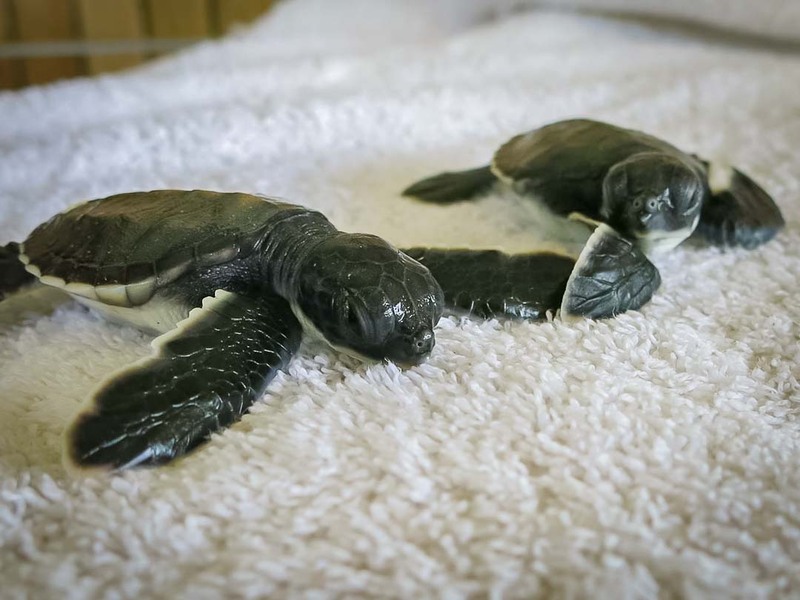 These two hatchlings were rescued from a safari boat that was giving them away to guests; unfortunately the fate of the other 70 hatchlings is unknown, as well as any information regarding the original nest. Dot and Dash are eating a full diet and have already grown 2.5cm in straight carapace length. 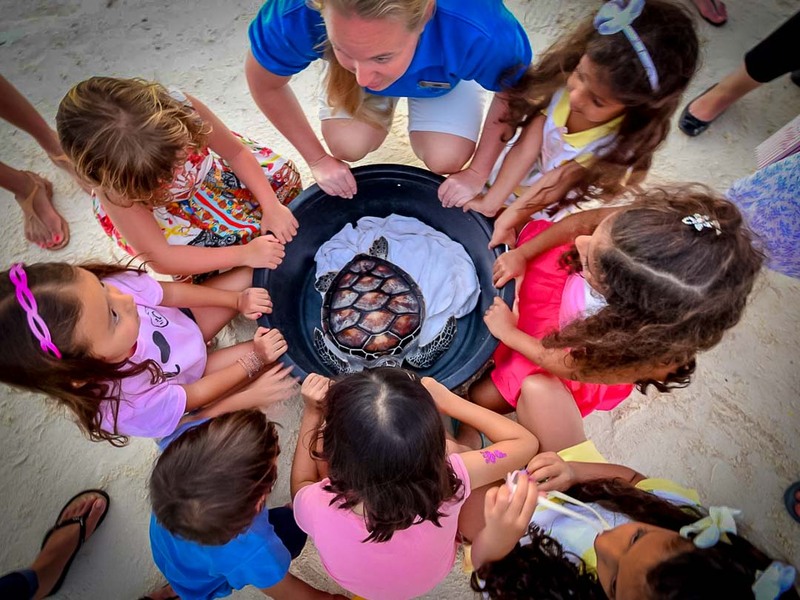 We currently have 19 turtles in our Head Start Programme, three Hawksbills and 16 Green turtles; all are healthy, active and growing. 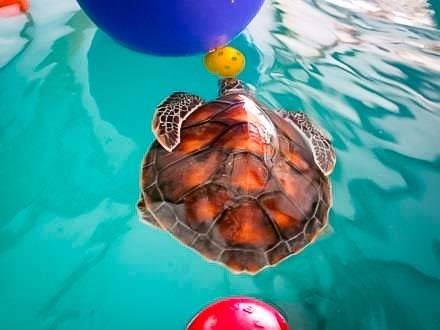 Daily enrichment plays a crucial role in ensuring our turtles stay healthy as it keeps them mentally stimulated, allows for the development of natural behaviours, and increases their activity. 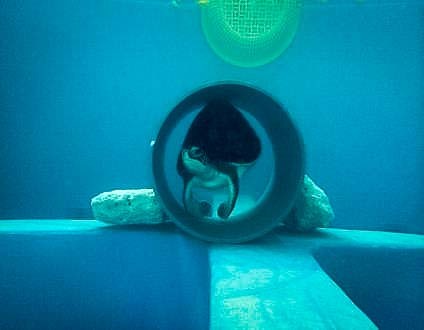 Recently, we have received several tough and indestructible toys (made for dogs) that are excellent additions to the current enrichment programme as they allow for more variety and rotation. We have also used these items to embellish PVC shapes to make them more interesting and allowing for some to be suspended in the water column. 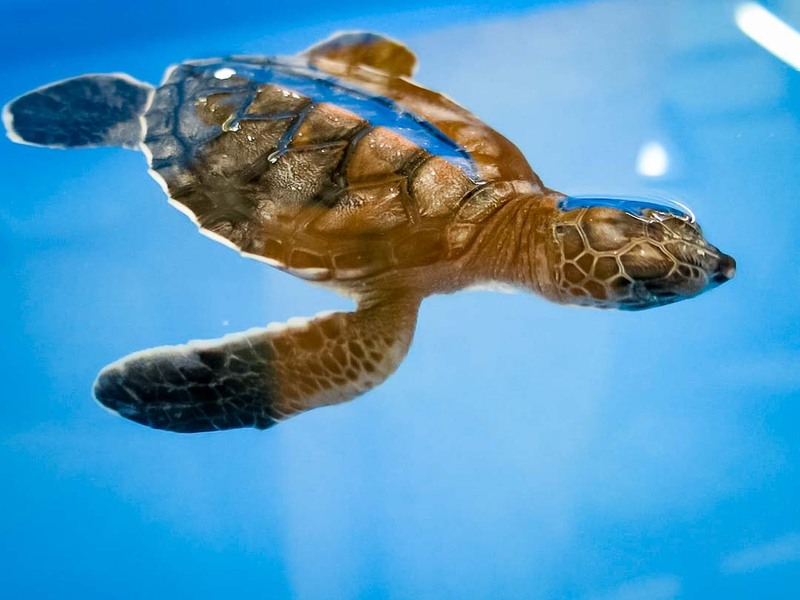 On 23 December, “Lavender Peace” (CM.088) was released from the ‘Secret Beach’ in front of the Marine Discovery Centre. 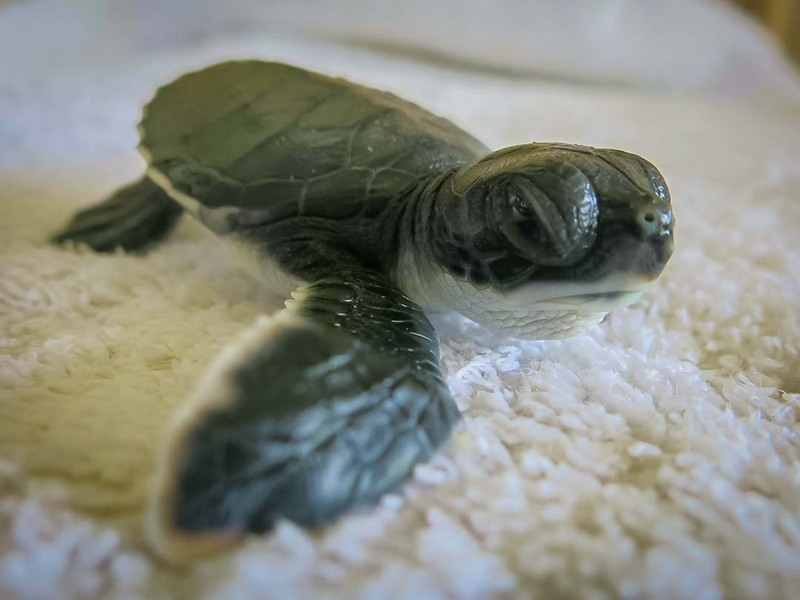 CM.088 hatched on Fenfushi (Raa Atoll) on 2 February 2015, and was admitted to our Centre with 11 other siblings through the Nest Protection Programme. 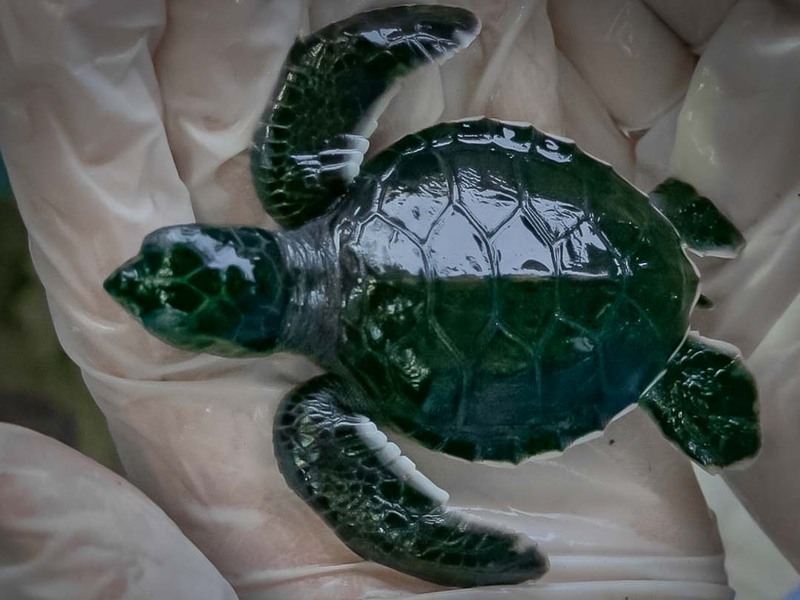 This turtle grew to 30cm in just 45 weeks, a full 19 weeks less than the current average. 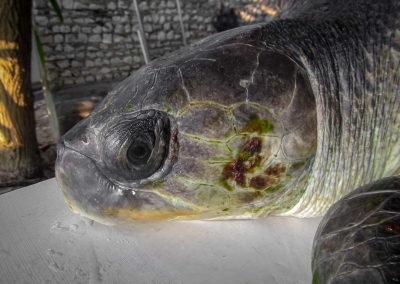 We currently have six Olive Ridley turtles (Lepidochelys olivacea) in rehabilitation at Landaa Giraavaru; all are stable and do not require medical treatment. 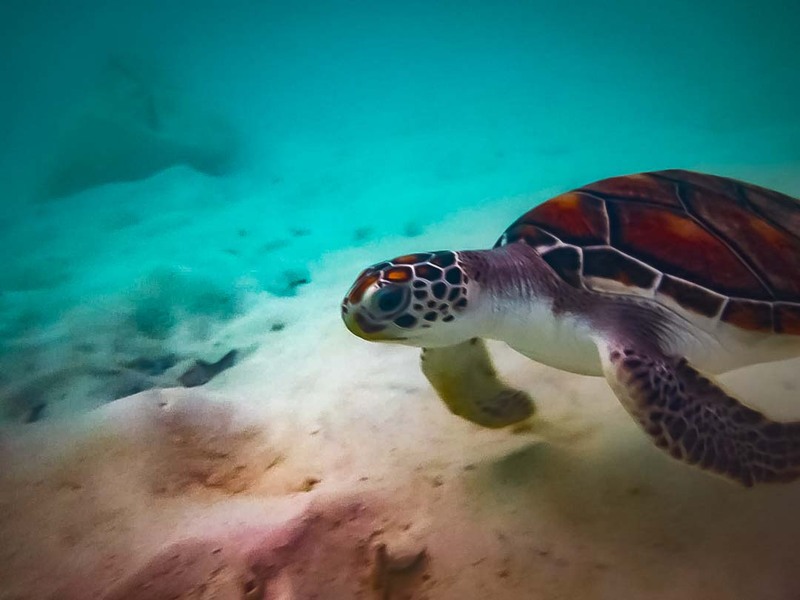 However, all our resident patients have difficulties diving due to a buoyancy disorder and are unable to be released in their current condition (vulnerability of predation and inability to forage). Chronic or long-term buoyancy results in changes of the lungs, such as hyperinflation, that is irreversible even if the original cause has been corrected. 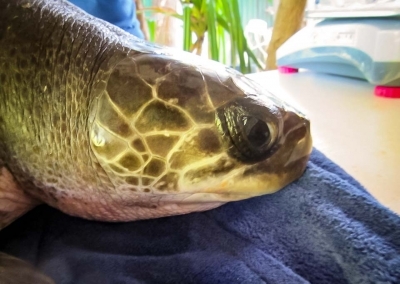 Several of the current patients can be considered to have chronic buoyancy disorder and are non-releasable, therefore lifelong care is required for these animals and we are reaching out to facilities that would be able to provide such care. 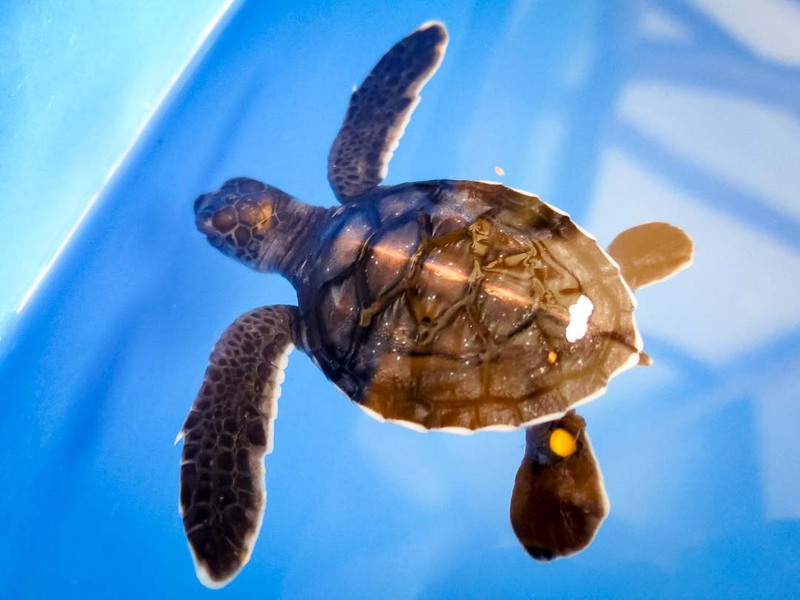 On Christmas Day, our juvenile Green sea turtle named ‘TG’ was released after 55 days of rehabilitation at our Centre. 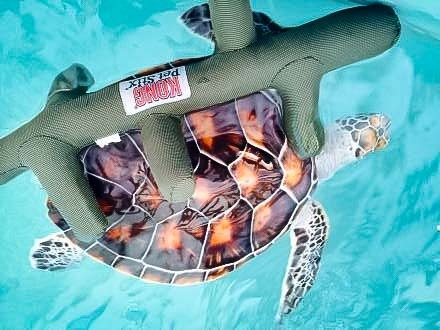 TG had been found floating near Vavvaru Island (Lhaviyani atoll) with an amputated left flipper, leaving just the humerus bone protruding. 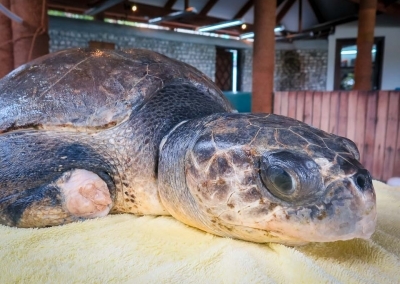 The turtle was initially cared for by the volunteers at Atoll Marine Centre over in Naifaru (Baa Atoll) until being transferred to Landaa Giraavaru on 1 November for more specialist care. 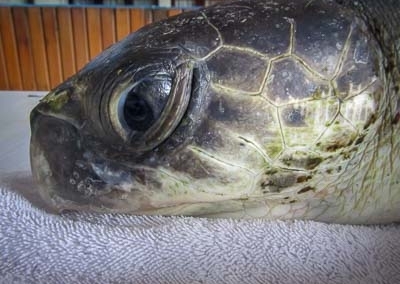 Upon arrival, TG was underweight, weak and unable to dive, delaying the amputation until the turtle’s overall body condition improved. 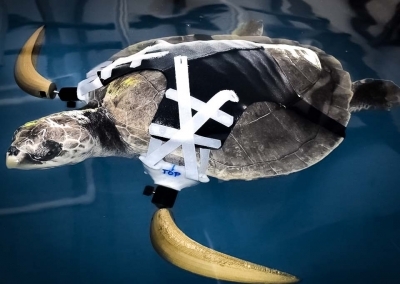 With much care and a healthy diet, TG made a fast recovery; not only did the amputation site heal completely, but the turtle also gained 2kg in weight and regained normal buoyancy control.